Legg-Calve-Perthes disease is a paediatric condition encompassing idiopathic osteonecrosis of the femoral head (ONFH). 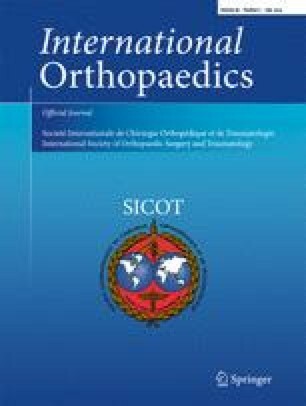 Preventing collapse and the need for subsequent joint replacement remains the major goal of clinical management. This exploratory study utilises a porcine model of surgically induced ONFH. rhBMP-2 with and without zoledronic acid (ZA) was delivered by intra-osseous injection in the phase-transitioning sucrose acetate isobutyrate (SAIB) in an attempt to prevent femoral head collapse. Epiphyseal quotient (EQ) at eight weeks post-surgery was the primary outcome measure. Heterotopic ossification in the joint capsule and bisphosphonate retention in the femoral head were key secondary outcomes. Femoral heads with ONFH and no treatment all collapsed (3/3, EQ < 0.4, P < 0.05 compared to no ONFH). Local delivery of rhBMP-2/SAIB into the femoral head prevented collapse by EQ measurement one of four samples; however, this specimen still showed evidence of significant collapse. In contrast, the combination of local rhBMP-2 and local ZA prevented collapse in two of four samples. Confocal fluorescence microscopy showed locally dosed bisphosphonate entered and was retained in the femoral head. This group also showed strong Calcein signal, indicating new bone formation. Treatment with rhBMP-2 was associated with a limited amount of heterotrophic ossification in the joint capsules in some specimens. Operators reported SAIB to be an efficient way to deliver rhBMP-2 to the femoral head. These data suggest that rhBMP-2 is ineffective for preventing femoral head collapse without the addition of bisphosphonate. Further research will be required to validate the clinical efficacy of a combined local rhBMP-2/bisphosphonate approach. This work received funding support from the Australian Orthopaedic Association (AOA) in the form of a grant. Tegan Cheng was supported by funding from an Australian Postgraduate Award (APA) from the Australian Research Council. The Leica SP5 in the CLEM Suite at KRI was supported by the following grants: Cancer Institute New South Wales Research Equipment [10/REG/1-23], Australian National Health and Medical Research Council [2009-02759], the Ian Potter Foundation , the Perpetual Foundation , the Ramaciotti Foundation [3037/2010], and the Sydney Medical School Research Infrastructure Major Equipment Scheme. The authors (TLC, AS, DGL) have an IP position relating to the approach used in this study. No commercial funding support was received.